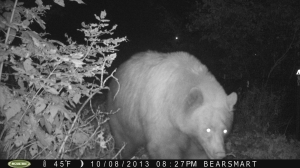 To gain a better understanding of bear activity and to better measure the effectiveness of reducing attractants, Bear Smart Durango has been placing infrared remote trail cameras in numerous locations in La Plata County for a number of years. See remote camera photos examples here. 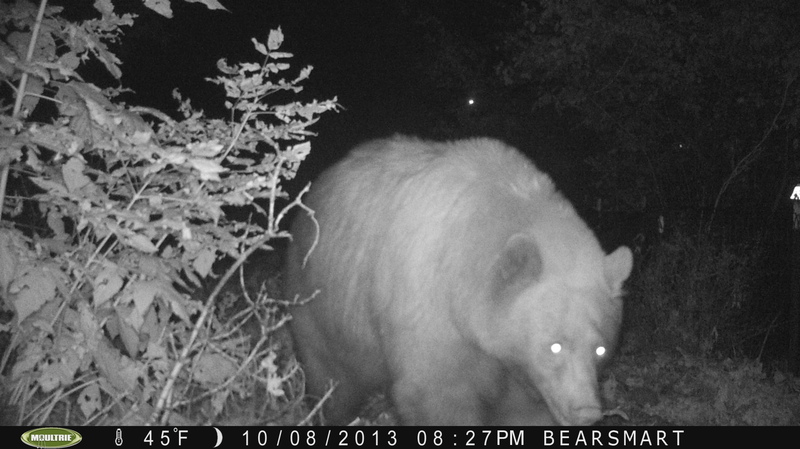 In 2012, the remote trail cameras captured 484 photos of bears. The total refers only to the number of bears appearing in photos and obviously not the actual number of bears involved, as the same individual bear may appear in multiple sequenced photos.